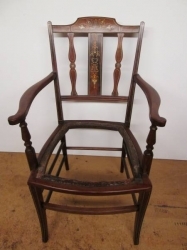 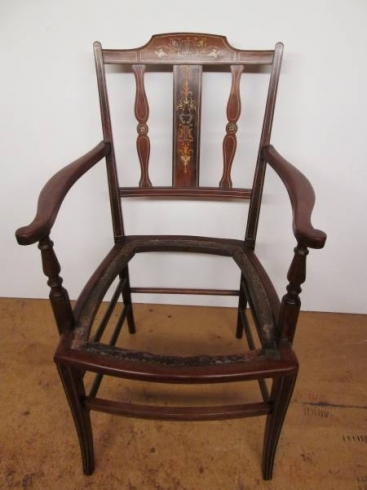 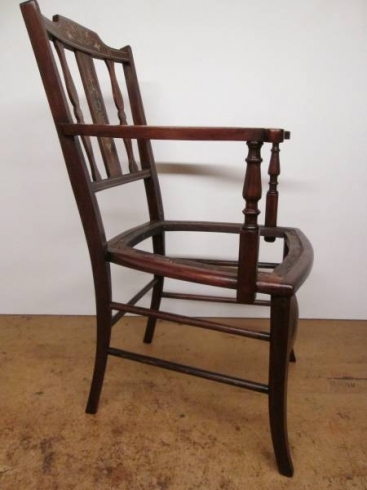 A very pretty Edwardian inlayed mahogany armchair. 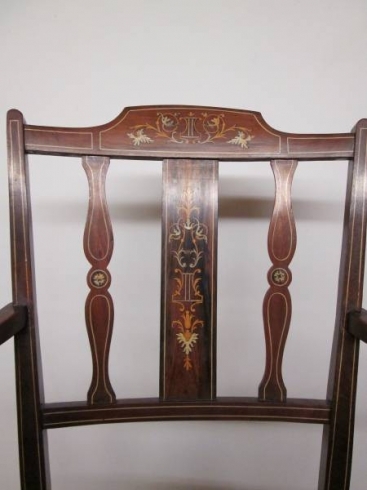 The inlay to the frame and back consists of exotic veneers and satinwood. 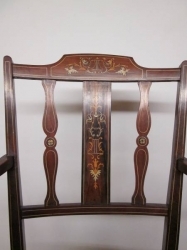 The chair has been reglued, newly French polished and will be traditionally re-upholstered to calico state. Dimensions - height 81 cms, width 49 cms, depth 53 cms.